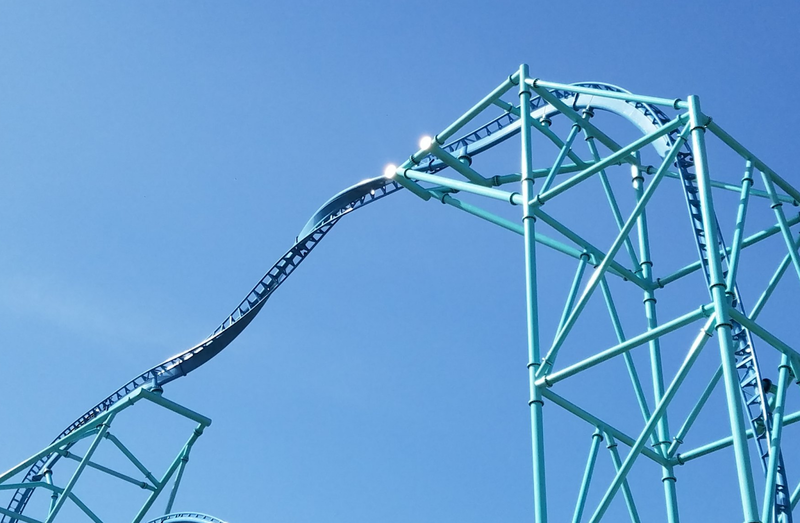 Excited fans of SeaWorld San Diego now know that they only have to wait until May 12th to ride the park's all new launched roller coaster, Electric Eel. The theme park has been testing the ride regularly and finishing work on the coaster's station, queue and surrounding plaza. According to this site the new area of the park featuring Electric Eel will also feature a live eel display, featuring California moray eels, along with an educational experience called Mission: Deep Discovery. During this visitors, in teams of one to four, will go on a virtual experience in the deep sea. 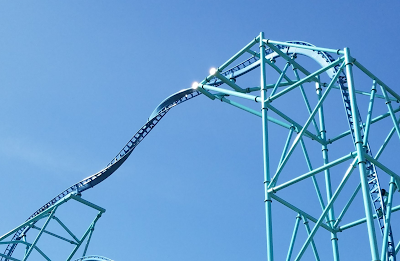 Electric Eel, which has been built by Premier Rides, features three launches - two forward and one backward, to get trains up to a top height of 150 feet above the park. This on-ride video that SeaWorld San Diego released shows just what that ride will be like, including the full heartline roll at 150 feet in the air and a non-inverting loop that takes place after a vertical dive. There are also some off-ride shots at the end of the video that should not be missed. For more information on Electric Eel, click here.